Home / General / Aston Martin V8 Volante Rolling Road. Aston Martin V8 Volante Rolling Road. 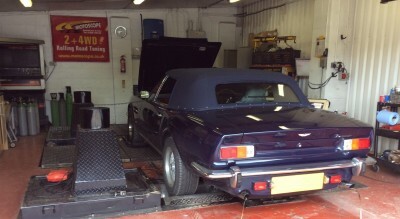 This Aston Martin V8 Volante has just been in for its annual tune up on the rolling road. This is one of many Aston Martins that we have come to us annually for tuning work on the rolling road.